Where is Shaka? | News and Features | Style Weekly - Richmond, VA local news, arts, and events. 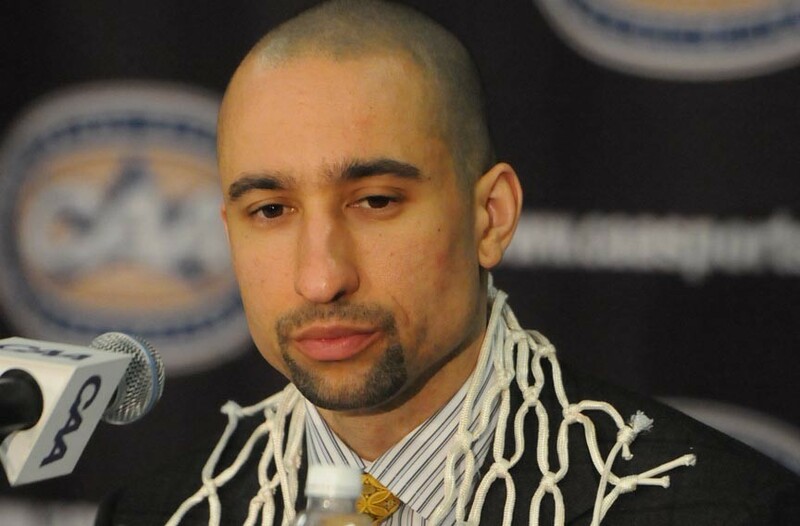 Can you see Shaka Smart? Is he here, in the building, or on television? Perhaps he's on the recruiting trail, at an AAU game in Indianapolis. His trademark defense sounds like a great car name: the Honda Havoc SS, or would it be a Hyundai? Is he at the Stu? Trying on new suits at Beecroft & Bull? In Phoenix, fox-trotting with Charles Barkley? "Dancing with the Stars"? Perhaps you've seen him? He's always on the move, sometimes running, shimmying actually, often on patches of waxed wood, while young men take his orders. You'll see him waving his arms, clapping his hands. He's kissing a baby, his baby girl, or is that his first recruit, a tall man who was just yelling at him? "Shaka, Shaka, don't come a Knocka?" Is that him in Illinois, in Champaign, turning down millions of dollars and fame? No, it's Thursday before last, and he's in Portland, Ore. His team of young men, the Rams, are playing the Shockers. They're supposed to be this year's Rams, the experts have prognosticated. King Shaka is upset by this, and decrees it not to be so. Is that him? Saving another university president, and his wife, from drowning? Soft, washable cotton, bleeding gold? On the satellite, in the studio, sparring with the Spartans. Is that him? He's there, in the yearbook photo. He looks fantastic. You, in the future, in the Top 25. Shaka? Are you real, or a dream? A hollow pumpkin, carved in your likeness? Dancing in the biggest dance? What? Your defense is pressing, even after missed baskets! Big Shot Brad is back!. No, that's just his likeness, Jordan. Oh, he's here — or maybe not — a new rite of spring as the flowers bloom. Shaka-laka. 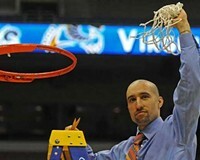 It's Official: VCU coach to remain in Richmond.